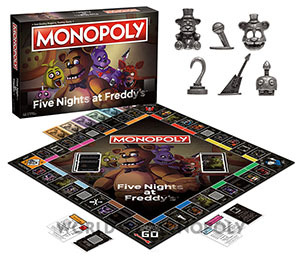 Survive a classic game of MONOPOLY® with a sinister twist! 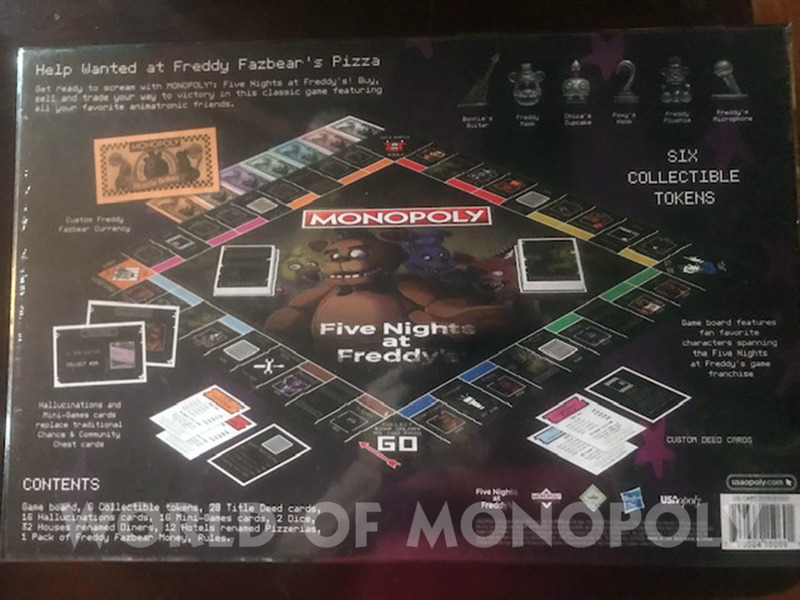 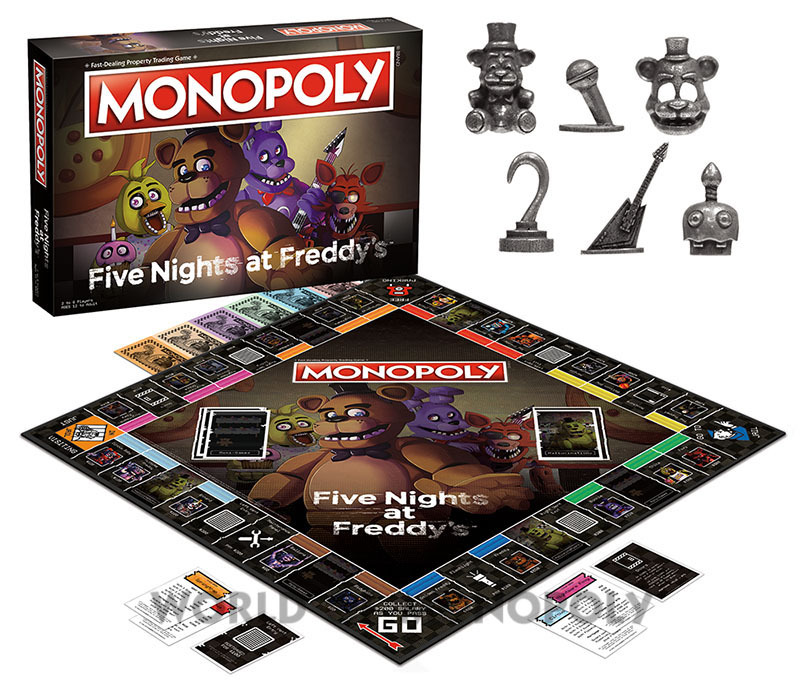 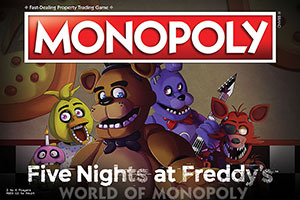 Featuring 28 memorable faces from the series, MONOPOLY: Five Nights at Freddy’s lets you play as one of six metal tokens representing familiar characters and make your way around the board buying, selling, and trading animatronics from Freddy Fazbear’s Pizza, Sister Location, and more. Build up your conquered properties with Diners and Pizzerias, take your chances with Hallucination and Mini-Game cards, and collect Game Tokens to survive the night and win the game! 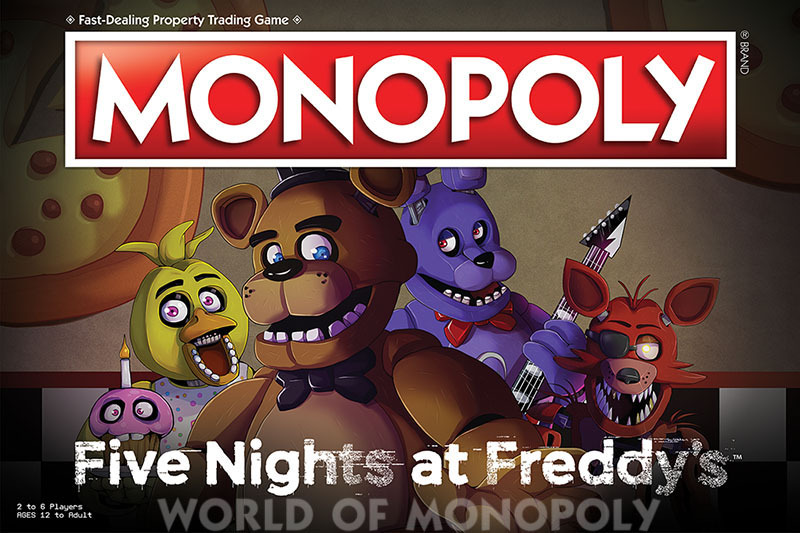 Displays a custom game board with 22 memorable faces, 4 Vents for transportations, and 2 Utilities renamed "Doors" and "Monitors"